There’s been some pleasing news on the labour market front from the UK this morning, with wage growth moving up to its highest level since the 2008 crisis while the unemployment rate unexpectedly fell back to 4.0%. With inflation recently falling back close to the Bank of England’s 2.0% target, this represents a decent increase in real wages for workers which will likely aid consumption going forward. The pound has risen to its highest level of the week in the immediate reaction, and trades back above the $1.29 handle once more. 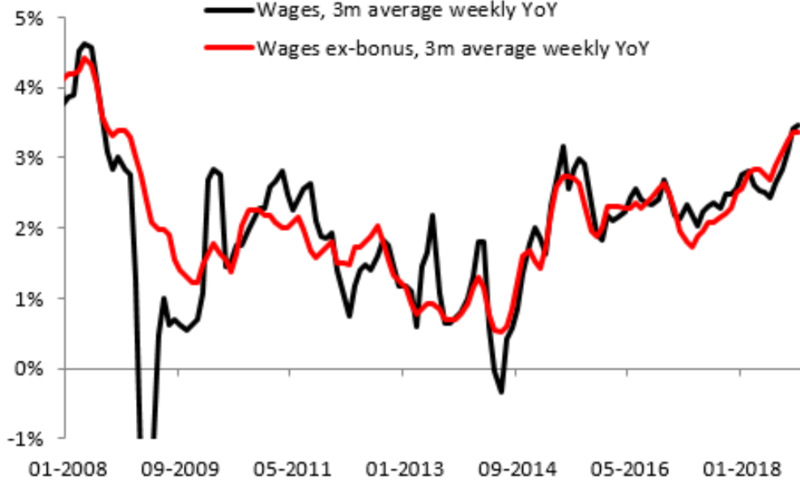 The strong data is all the more pleasing given the ongoing uncertainty surrounding Brexit and just serves to illustrate that despite the continued headwinds the labour market is holding up surprisingly well.